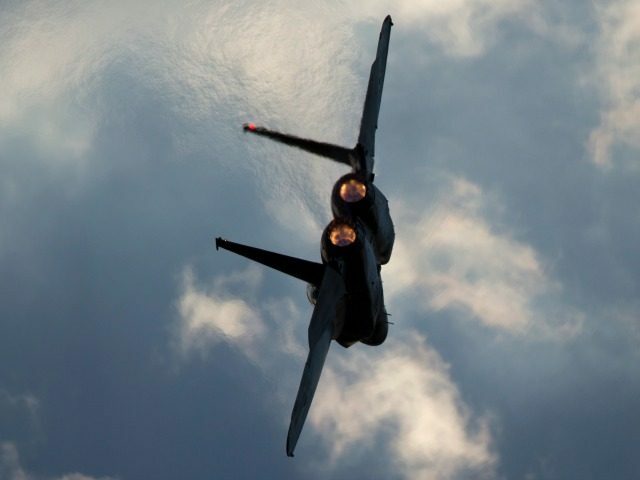 JERUSALEM (AP) — The Israeli military says it bombed Hamas military targets in the Gaza Strip, hours after an explosive device detonated near an Israeli army vehicle along the Gaza-Israel border. The Palestinian health ministry in Gaza confirmed that a Palestinian was killed and another man was seriously wounded in the strike early on Thursday. The bombing came hours after an Israeli airstrike targeted Hamas training sites in the central and southern Gaza Strip. Tensions are rising on the Gaza-Israel border as Hamas, the Islamic militant group that controls the coastal territory, has mobilized people for unprecedented weekly protests along the borders since March 30. Thursday’s fatality raises the number of Palestinians killed by Israeli fire over the past two weeks to 33. At least 26 were killed during protests.